The summer of 1972 was the most pivotal of Matt Plumley's childhood. While his beloved Pirates battle for back-to-back World Series titles, Matt's family moves from Pittsburgh to Dogwood, West Virginia, where his father steps into the pulpit of a church under the thumb of town leader Basil Blackwood. A fish out of water, Matt is relieved to forge a fast bond with two unlikely friends: Dickie Darrel Lee Hancock, a mixed-race boy, and Jesse Woods, a tough-as-nails girl with a sister on her hip and no dad in sight. As the trio traipses the hills and hollers, Matt begins to fall for Jesse, and their promises to each other draw him deeper into her terrifying reality. One night, the wrath of the Blackwoods and the secrets of Jesse's family collide, and Matt joins Jesse in a rescue that saves one life and ends another . . . and severs the bond of their friendship. Years later, Matt is pulled back to Dogwood and to memories of that momentous summer by news of Jesse's upcoming wedding. He could never shake the feeling that there was more to the story of that fateful night, and he's determined to learn the truth behind the only promise Jesse Woods ever broke. 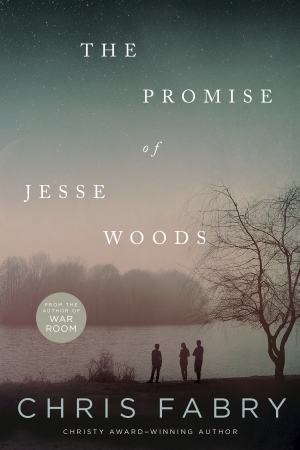 The Promise of Jesse Woods released in July 2016 and received the 2017 Christianity Today Book Award of Merit in the Fiction category. For the complete list of 2017 winners and notables, please visit the Christianity Today website. The book also received the 2017 Christy Award in the General Fiction category.  Visit the Christy Awards website for a complete list of 2017 winners and finalists.